The organisation is named “The Welsh Correspondence Chess Federation” or “Ffederasiwn Cymru Gwyddbwyll drwy Ohebiaeth”; hereinafter referred to as “WCCF”. to organise participation in international tournaments and matches. WCCF is affiliated to the International Correspondence Chess Federation; hereinafter referred to as “ICCF”. Although not formally affiliated, WCCF recognise the Welsh Chess Union (WCU) as having authority for over the board chess in Wales and seek close cooperation with the WCU. WCCF is the authority for competitive correspondence chess in Wales and will have sole responsibility for the representation of players registered in ICCF under the flag of Wales. For the purposes of correspondence chess, Wales is defined as the entire geographical country of Wales, including the former counties of Denbigh and Flint. WCCF do not recognise any claims of authority by other correspondence chess organisations or national federations over Wales or Welsh players, where such claims are incompatible with Article 13 of the ICCF statutes. National Members are correspondence chess players registered as active and unsuspended players with ICCF under the flag of Wales; National membership is free of any subscription charge and is awarded automatically; National members are entitled attend the WCCF AGM as non-voting observers; National members are entitled to enter tournaments organised by WCCF, subject to qualification, including the Welsh Correspondence Chess Championship. Premium Members are correspondence chess players registered with ICCF under the flag of Wales; Premium members pay an annual subscription fee set by the WCCF Executive Committee; Premium members are entitled attend and vote at the WCCF AGM; Premium members are entitled to enter tournaments organised by WCCF, subject to qualification, including the Welsh Correspondence Chess Championship. International Members are correspondence chess players registered with ICCF under any flag other than the flag of Wales; International members pay an annual subscription fee set by the WCCF Executive Committee; International members are entitled attend the WCCF AGM as non-voting observers; International members are entitled to enter tournaments organised by WCCF, subject to qualification and approval of the member’s home federation where appropriate, excluding the Welsh Correspondence Chess Championship. 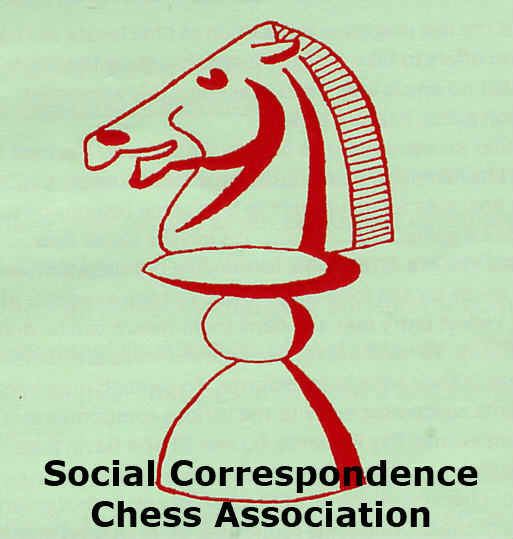 Affiliated correspondence chess organisations are correspondence chess organisations having one or more Welsh members. Neither affiliated organisations, nor their members (unless they are also Premium members), are entitled to a vote at the AGM. Applications for affiliation are approved by a simple majority of the AGM; the Executive Committee is empowered to grant provisional affiliation, pending AGM approval. Honorary members are individuals who have made a significant contribution to Welsh correspondence chess; Honorary membership must be approved by the AGM; Lifetime Premium or International membership will be conferred on honorary members; however honorary membership does not confer voting rights to international members. The highest authority of WCCF is the annual general meeting (AGM). An AGM will be held each calendar year. If necessary, a virtual AGM may be held using video or audio-conferencing technology. Premium members will each have one vote at the AGM. At least thirty days’ notice of the AGM will be given to all Premium members. Premium members may submit motions to the AGM no less than fourteen days in advance of the meeting. A full agenda will be circulated following the closing date for new motions. There will be no “Other Business” at the meeting, voting will only take place on motions which have been accepted in advance of the meeting and circulated to all Premium members. Premium members not able to attend the AGM may submit their votes by email directly to the WCCF Secretary. The Executive Committee is delegated day to day management of WCCF by the AGM. The Executive Committee will consist of (i) elected officials (ii) co-opted members, and (iii) a representative of the Welsh Chess Union (WCU). The Executive Committee is empowered to co-opt additional members (for example, but not limited to, Webmaster or Friendly Match Coordinator) who are also Premium members of the WCCF, and to fill vacancies pending ratification by the AGM. The representative of the Welsh Chess Union will be nominated by the WCU. The Executive Committee is empowered to legislate for any eventuality not described in this constitution, pending ratification by the AGM. The Executive Committee is empowered to take disciplinary action or handle appeals in cases which are not covered by the international rules or disciplinary or appeals committees of the ICCF. Nomination of Welsh national teams to international correspondence chess events. Participation in international governance through ICCF. Correspondence chess events played under the auspices of WCCF will comply with all relevant ICCF playing rules current at the start of the event. The financial control of the federation is delegated to the Executive Committee. Annual subscriptions, fees, and prizes shall be determined from time to time by the Executive Committee. Alterations to this constitution require a 2/3 majority of votes cast (either in person or by email) at an AGM. WCCF may be wound up by a 2/3 majority vote (either in person or by email) of the AGM. Once all liabilities have been disposed, the remaining assets of WCCF will be distributed to organisations supporting correspondence chess in Wales. This constitution was ratified on 17th August 2012 and updated on 29th January 2015 and 25th November 2018.